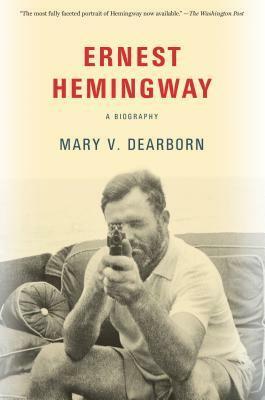 The first full biography of Ernest Hemingway in more than fifteen years is the first to draw on a wide array of never-before-used material, resulting in the most nuanced portrait to date of this complex, enigmatic artist. Considered in his time the greatest living American writer, Hemingway was a winner of the Pulitzer Prize and the Nobel Prize whose personal demons undid him in the end, and whose novels and stories have influenced the writing of fiction for generations after his death. Mary V. Dearborn’s revelatory investigation of his life and work substantially deepens our understanding of the artist and the man. MARY V. DEARBORN received a doctorate in English and Comparative Literature from Columbia University, where she was a Mellon Fellow in the Humanities. She is the author of Mistress of Modernsim, Mailer, Queen of Bohemia, The Happiest Man Alive, Love in the Promised Land, and Pocahontas's Daughters. She lives in Massachusetts.